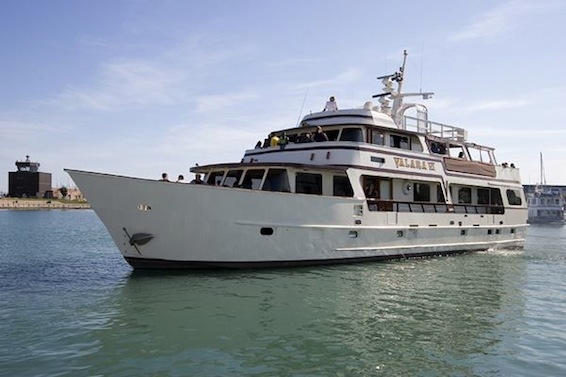 On Aug 29th, sea worthy denizens of Chicago sailed off the Burnham Harbor for an unforgettable night of schmoozing and, well, a little boozing. 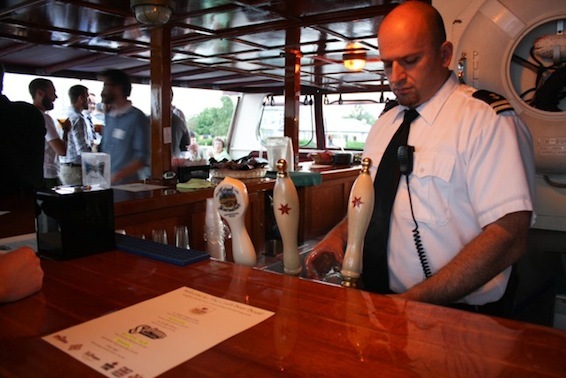 The maiden voyage of the Craft Beer Boat was a Sixpoint collaboration with Artisanal Imports, an importer of award winning Belgian, English and German beer. We had wondered how we could possibly improve upon a beautiful summer day with a craft beer in hand, when inspiration struck. Why not serve great beer, on a gorgeous Chicago day, but ON A BOAT? Score 1 for thinking outside the… can. 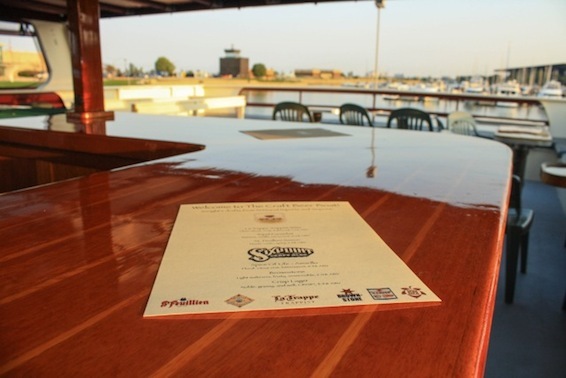 For the first-of-its-kind event, Chicago area publicans, bartenders, servers, beer bloggers and of course beer lovers, all met aboard the Craft Beer Boat to throw 3 sheets to the wind (not literally…). In the weeks leading up to the cruise, 10 pre-party events were hosted by various craft beer bars across the city of Chicago. Each event featured select beers from Artisanal Imports and Sixpoint Brewery. The craft beer drinking public could then win tickets to the Craft Beer Boat by sampling the featured beers at the pre-party events. For those who couldn’t make it to our events, a contest via twitter gave any other scallywags the opportunity to win a coveted ticket aboard. When the big day arrived, the line of craft beer fans snaking up to the boat was visibly brimming with anticipation. Once aboard, we enjoyed draft beer from Sixpoint and Artisanal Imports, along with a nice selection of healthy hors d’oeuvres. We were also lucky enough to have some seriously talented musicians – Aaron and Jackie of Project Vagabond – play sets through out the cruise. 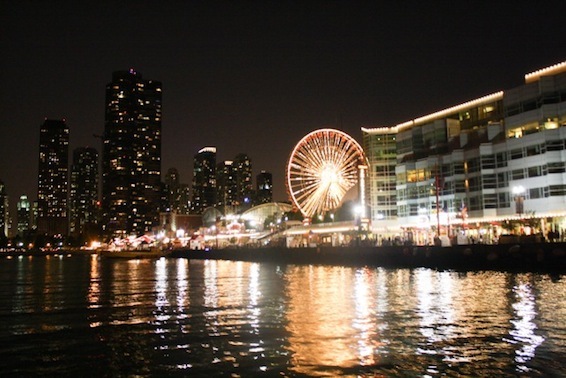 For the night-cap, the camaraderie was brought to a stand-still around 9:30pm with a fireworks display from Navy Pier! Sound cool yet?! If our first event together is any indication of things to come, this could be the start of a delicious, thirst-quenching friendship. We will continue to update our Craft Beer Boat Facebook page, so stay tuned for other collaborative ideas coming from Sixpoint and Artisanal Imports. From the look of the faces on the newly minted sailors, the cruise was a huge success and an amazing night had by all. As the event’s organizers, here’s what we learned: when you pair great people with delicious beverages, all floating beneath a breathtaking moon and fireworks display… you’ve got the recipe for a pretty stellar event.